A masked man storms a shop brandishing a grenade. Bystanders and shoppers notice the big G…. MAYBE A member of a GANG… With their eyes down, they quickly move to the door and out onto the street…. A month later he comes back. This time the thug pushes the poor woman on the ground almost breaking her leg in the process. Shocked from the onslaught, she gasps for air. The thug not yet done flings the grenade and her shop goes down in a pack of smoke. The Question: what did she do? Answer: she committed SEO mistakes that Google had to sack her from its market place. Just like her I also made the Google god’s angry. I stole people’s content…..Not like +Adrienne Smith did or +Jon Morrow taught. I stole people’s content without acknowledging them. Is this strange? Nope, it happens all the time. How I got Google Kicked out of Search Engine Land. About 5 years ago, my first blog billchucks disappeared from Google search. I had started raking in a good amount of traffic from Google, Afrigator-a bookmarking site even ranked me among the top 500 blogs in my country. Out of the blue, the site ranking plummeted like a plane doing a free-fall to the ground. I may not be able to say for sure, but it’s probably because I used chunk of people’s content and I did not give them credit. Not only that, I also submitted my site to all those awful directories you can think off. I also copied my content and placed them on hubpages and tweaked my post before placing it on Ezinearticles. May be this got Google angry, and like a no-nonsense man he stormed my blog and gave me a vicious blow that sent me reeling on the floor. Perhaps you think Google should have mercy. No- way, Google like your government considers ignorance a non-issue. Its mantra is Ignorance is no excuse to breaking the law. Like big Daddy, he is willing to wield the big stick -all coming in the form of updates that bear animalistic names that can send you into a fit of laughter. Though these animals bear funny names-their customized stings are not funny at all. They could lead to monumental loss of income. And this is why you need to be in Google’s good book. The One Truth You Need to Know About Google. Google is like a chameleon-she changes her skin all the time, and updates have become her third name. When she perceives a threat she changes her skin. Hence, what you consider the rule today may not be the rule tomorrow. For example, there was a time you could write keywords in white colour and you could easily game the system. However, Google isn’t like that anymore. Her strategy is in a state of constant flux. Are we then doomed? The answer is no, we only need to create breathtaking content, connect with influencers, and Google will smile at us. So, you may ask, what exactly can land us in Google Jail? 23 SEO Mistake Which Can Land You Google Jail. Do you remember when Article base and Ezinearticles were the rave of the moment? You just needed to create one original article, and then with the aid of software you could spin the content and place them on these sites. However, Google got smarter and their algorithm could pick out those articles. All of a sudden, Ezinearticles that initially ranked high on Google search engine suddenly suffered a massive drop in Google search result. ADVICE: While these article sites are cleaning up their acts-it better you count your teeth. Mistake #2 SE0 Spam Linking. You know blogs that drives traffic and then you take advantage of them. You drop links with anchor text which many blogger are guilty of, and something which Google hates. Your strategy had been to build up your back-link profile using rich anchor text on do follow blogs and Dr Google has been on a high against you. This has led to traffic crash for you that you fear the next step Dr could take is to de-list your blog from their search result. Write a personal letter acknowledging your mistakes from the past while asking them to help you remove those anchor keywords, and comment link. But be notified that you may have to pay the owners of these sites for this service. Mistake #3: Condoning Anchor Rich Text. As a blogger, allowing other sites link to your site with anchor rich text in the name field can put you in Google naughty list. Though most bloggers do not allow this on purpose, they sometimes do this unknowingly, since SEO spammers have devised this means to drop keyword rich anchor text on their site, something their spam……… may not always stop. Activate closed comments after a period of time. This is especially good for big blogs with lots of comments. Sites with low number of comments can afford not to adopt this measure since they can easily review and delete comments without much time constraint. Another option is to make your comment links no follow. Mistake #4 Paying Back SEO Spammers. Have you ever gotten an e-mail from a blog asking you to remove spam links comments they themselves placed on your site? But the next day, you receive this letter bomb. “Take down this link or else…….” You wonder what the else signifies. It simply means that they would use the disavow tool to disavow your links. Now you wonder, you are in a dilemma- you ask yourself is the revenge worth it? So with regards to this debate on rejecting or acceding to the link removal request what are your thoughts? Will you refuse their request or will you allow them to blackmail you? 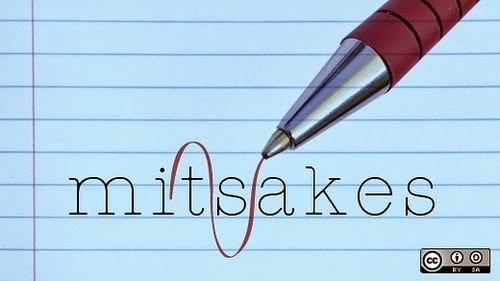 Mistake #5: Submitting to Link Directories. With so many link directories cluttering the web, you need to be wise as serpent and ask yourself the following question. - Is the directory submission an automated process? - Do they accept all approval requests? - Does approval take five minutes? If the above answer is yes, you are better off not submitting your site. The reason being that though they may be genuine, spammers may eventually abuse the process and you’ll become guilty by association. Mistake #6: Pinging of Your Content. Many people ping their content using services like pingomatic.com. Pinging in itself may not be bad, but when pinging out your content, you may ping out the content to sites whose aim is to get your url to use for black hat SEO. For those who may not be aware of pinging-pinging allows you to easily get your content indexed in search engine especially for those sites which are new. While pinging in itself is not completely bad; pinging of your content to spammy sites along with genuine sites will make lots of spammy sites link back to you; hence, making you lose search engine traffic. Pick three or four sites which you know are genuine and ping out you content to them. This way you avoid Google’s black box. Some call it keyword stuffing. No matter the name it’s called, it simply means filling your pages with keywords in order to influence search engine traffic and to achieve better ranking. WOW have you come across content that reads like this? Then it’s called optimization numero uno, a strategy that opens you up for Google gods to give you a sound whipping that you end up crying like a small baby still suckling at mother’s breast. Perhaps you are concerned that you may have been affected; you shouldn't be, except you were deliberately thinking about keywords when writing your articles. A Broken link can hardly be avoided by bloggers. Just like people live and die every day so also, blogs come and go every day. Even when they don’t die- change a never ending process continues to take place. 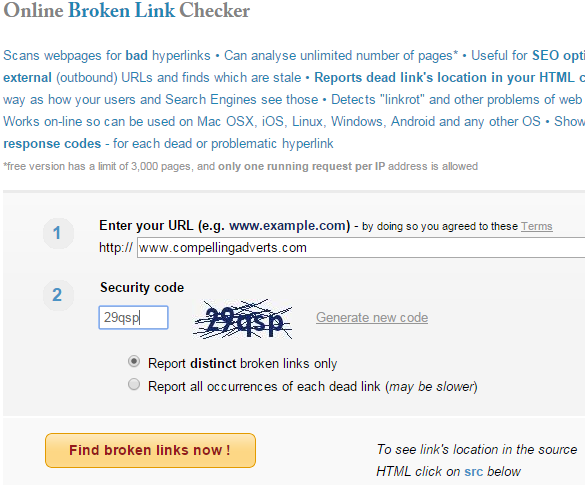 To understand better, consider a page with no broken link against one with broken links. You visit a site click on a link and Page 404 appears. Which site do you consider to have a better user experience? I bet it’s the one with no broken links. This is the same way Google looks at a broken link and hence devalues that page. I am no SEO whiz kid or guru, but do this and you could land yourself in murky waters. Now, I won’t say “never outsource your SEO” but if you do make sure you monitor things. No matter how genuine a person may appear, he can suddenly turn rogue. And you’ll be in hot soup. This is exactly what happened to +Andrew Youderian of eCommercefuel, he even shared his story. If you don’t know anything about SEO, it is best you stick to writing relevant content and promoting the ish out of them. If you feel you must eventually outsource, learn how to monitor your site so that even if your SEO Consultant suddenly wakes up in the morning and becomes infected with the deadly “rogue virus” you could still be able to resolve the issue and salvage your site before Google gods deals you a knockout blow. Mistake #10: Duplicate Home Page. According to Jeffbullas.com duplicate home pages results when you are serving duplicate version of your home page to search engines. When you use duplicate home pages, search engines find it difficult deciding which content to index. This could then lead to low rank in search engine results or outright disappearance from Google eyes. Do you have the same URL where upper or lower case is used in an inconsistent manner? If you do, this could dilute your site URL – which can subsequently lead to a watered-down ranking. www.example.com/Text-Books while the actual version of this page is www.example.com/text-books will lead to this link richness to be shared among the different URL. Two boys consider themselves the smartest dudes in the world. They device the ingenious means of reducing blocks of their notes into text size three, that mere mortals would need the aid of a hand lens to comprehend. The d-day comes; they pick up their bullets, tuck them neatly into the hollow of their belt, and carefully press the metal against the leather, setting it in proper position. They walk confidently into the exam hall with CCTV cameras positioned at strategic places. They sat down and carefully watched as the cameras moved out of position. They then got down to the real business of the day. They came out elated, happy to have beaten the camera to their own game. They then waited for their results to come out. They rushed to the teacher to complain. The teacher pulls out their script and shows them the glaring similarity found on the two scripts. This is what some people do. Perhaps you’ve ripped off the content of another website and place them on your site. You then go to bed dreaming of viral traffic. In the morning, you see a huge traffic spike of 500 visitors in one day and you become happy. Then Google gods pay you their dreaded visit and your search traffic drops to zero -your site is no longer found on page 1-50 of big brother. You set up your site but for one reason or the other, you refuse to verify you are the owner of the site, making it difficult for Google to index your site. When you do this, be sure to see your articles far from treasure’s gold. Configure Google and Bing webmaster tools for your site. This way you make it easy for search engines to index your site and not only that. They help inform you when your site has an issue that can draw down your ranking. Once upon a time, you could write 300 words article and rank on the first page of Google. However, it so hard to accomplish that today except you are Seth Godin. Create at least 700 words article without sacrificing relevancy. Mistake #15 Missing Alt Tags. You set up your site-used alt tags for most of you images. Fast forward 2 months later, you consider it less important-then like a virus attack, you notice your e-commerce traffic begins to disappear; that’s how important alt tag is. By adding alt tags to each of your images, search engines are notified about the content of the photos. It also helps visitors grasp better the meaning your photos are trying to convey. Mistake #16 No Back Links. You used to write unique articles, and linked out to relevant sites, some SEO rogue gave you the pill. You’d given him access to your site, the aim-to increase traffic, but he deceived you. He linked your site to crappy content, got back-links from crappy sites, used white colours to blur your link and then your traffic nose-dived. You expect your traffic to come back to its previous level after clearing up the issue you had with Google as seen in your webmaster tool but to no avail. Link out to relevant sites i.e sites that have authority (not crappy sites). This way you can ask them to share your content and they will oblige you. Mistake #17 Leaving Your Face Out of Google Search. You’ve made conscious effort to get your website out to the public, you’ve created relevant content but your face doesn’t appear in Google search result. According to +Scott Krager, this may have resulted in 25% loss in Google Traffic-This is why you need to set up Google authorship for your blog or website. While this may not necessarily lead Google to shove your result down a tunnel-it helps drive traffic to your site. For example, an experiment by +Cyrus Shepard from Moz shows that Google+ authorship drove 35% increase in click-through. Mistake # 18 Not Having XML. +Tom Ewer in a word tracker article advocated that businesses and blogger set up site map. “I have a simple rule of thumb when it comes to learning new SEO strategies. If you hear it on the grapevine I take it with a pinch of salt, but if I hear it from Google I take it as gospel. That why my position regarding site maps is simple. Mistake #19 Building too Many Links Too Fast. Imagine 10000 links within 24 hours. Yes, this is what Marcus Taylor did within one week. He shot to the number one ranking on Google, but within three weeks he was pushed down because he built too many links”-Neil Patel in his post 5 SEO Mistakes that Even Experts Miss. We all need money from affiliate sites but what if our quest to generate cash from affiliate link makes Google downgrade our ranking? According to Pat Flynn of Smart Passive Income Affiliate links should be no followed. He also advocated that links to your R.S.S feeds, twitter counter and all other social link should be no followed too. This SEO mistake may not only land you in Google jail, but it will make you lose some awesome amount of traffic. This is so because when people search for a particular keyword on Google they look out for the description below the title tag. And if you refuse to fix it, Google will take up the gauntlet and do work for you. Mistake #22 65 Against 90. The headline of a post is the most important part of a post. It’s what draws in readers to your site. This is why you must ensure your title is compelling. Though I am no magician when it comes to crafting compelling headline; if you have a problem, am sure Jon’s epic headline hack cheat sheet should solve your problem. While writing compelling headline is so important. It’s also important to leave it at 65 characters. Some other sites even recommend 66. When you write above 66 characters Google cuts off the rest. While it’s best to leave it at 66 Characters, there are times it’s not going to be possible-in such a situation you can then write above this character. According to an article on Cognitive SEO- an example of paid advertorial strategy being penalized would be the Interflora penalty. Their “advertorial” marketing approach was caught by Google. How they operate was simple: they paid other people to write reviews and post them on other (non relevant) sites, in hopes that they would boost their Google rankings and search engine dominance. This only made them to be penalized by google so accepting paid review is a dangerous practice. You can see MattCutt tweet concerning advertorial pages. If you’ve been penalized by Google gods and you decide to use the 301 redirect option to a new site-you are on your own because Google could transfer the penalty to your new location. Mistake #25 Black hat SEO advice. Wow, so it now in your court. What other SEO mistakes do you think can land you in Google Jail.